13 Insanely Cute and Girly Cowboy Boots! Cute and Girly Cowgirl Boots for Sale! Hello again fellow girly ladies! So I hear you are looking for a cute and girly pair of cowgirl boots for sale? I love to wear them! They are fun and comfortable! 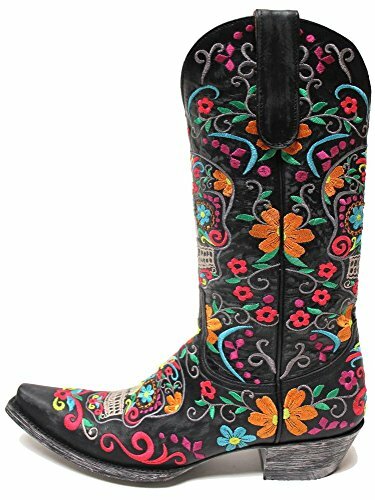 My favorite ones are the floral ones in fun colors, just like this gorgeous floral embroidered cowgirl boots you see here! Whether you call them cowgirl boots, girly western boots or cute cowboy boots, we are all talking about the ones you are about to see on this page! They go so well with a cute pair of jeans! I hope you like my selections! 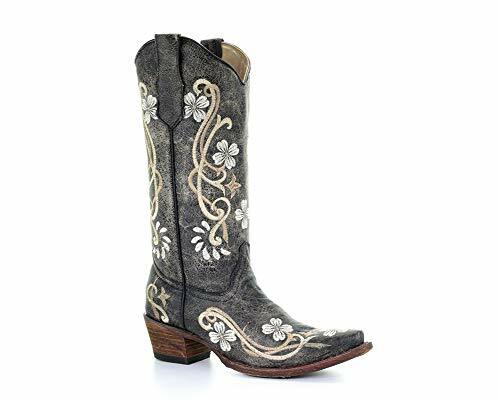 I think these floral western boots are among the cutest cowboy boots for women! They are very stylish, great quality and girly! The cute and colorful small flower embroideries on the brown leather look amazing! Any woman who loves to wear comfy low heel boots can wear them anywhere, anytime! 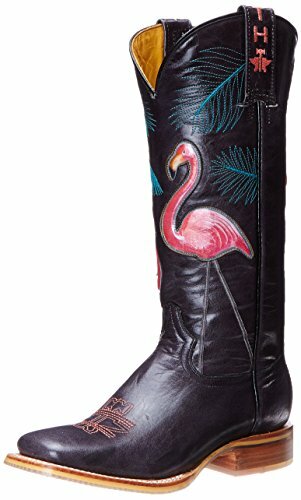 How amazing are these cowboy boots for women with a cute PINK Flamingo among trees design? 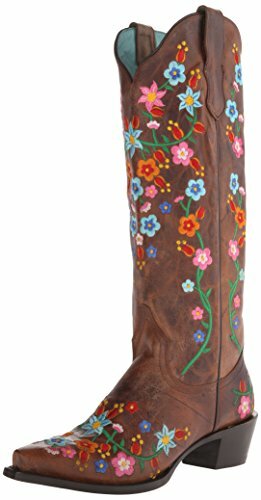 Best Floral Cowboy Boots for Women! 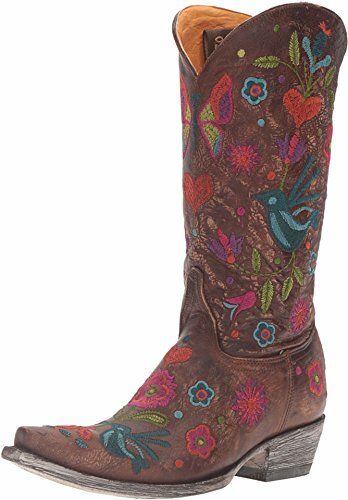 How cute and very girly are these Old Gringo flowers, hearts, butterfly, and birds print cowgirl boots in brown leather? I love all the delicate and colorful flowers! I would definitely wear these with a cute skirt or shorts, to show them off! They are available in sizes 6.5 and 7.5. First of all let me say you can’t go wrong with any Old Gringo boots! They are among the very best! What cought my attention right away when I saw these were the cute and very colorful flower embroideries, of course! These are more on the expensive side, but are totally worth it! You can wear them with a pair of jeans, shorts or skirt! They are casual but at the same time very stylish! 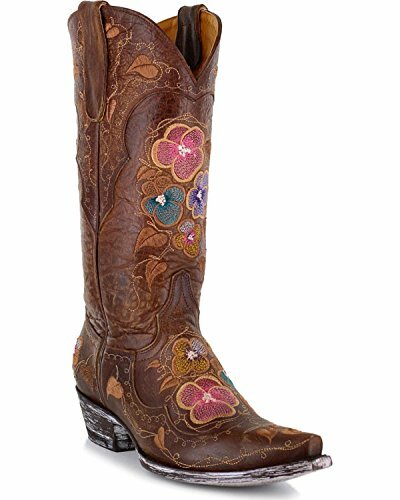 The Most Beautiful Girly Floral Cowboy Boots for Women! 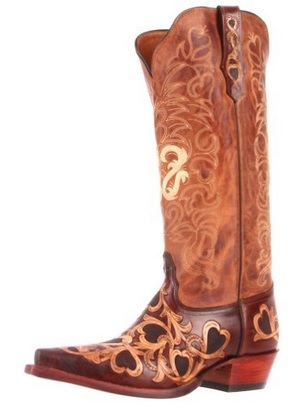 This is one of my favorite and most beautiful pairs of gorgeous floral cowgirl boots being sold! I am crazy about the huge and very colorful flower embroideries! Not to mention the cute blue bird and the word LOVE in red! They are chic, fun, stylish and amazing! If your wife or girlfriend loves to wear cowboy boots, look no further! These will make an amazing gift idea! 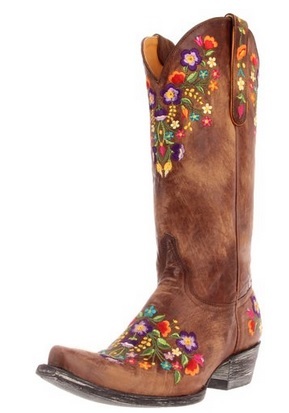 Gorgeous Old Gringo Women’s Floral Cowgirl Boots! Another pair of insanely gorgeous floral leather girly Western boots for sale! I love the cute orange, blue and pink flowers on the black leather! Great and FUN color contrast! Needless to say they are perfect to wear with a cute pair of jeans or a denim skirt! I also love cute flowers! Black distressed leather boots with a gorgeous flowers design! Everyone will turn their heads just to take a glimpse of these when you walk by! How am I doing so far girly ladies? Are you enjoying these cute cowboy boots? 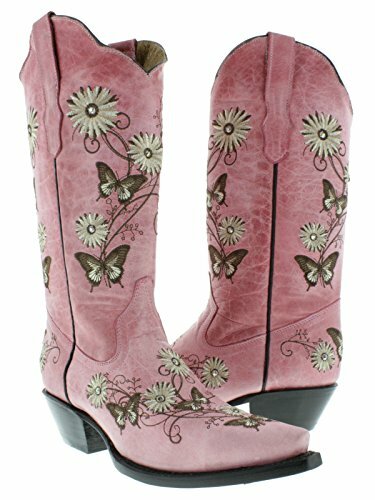 Of course I had to show you this gorgeous pair of pink leather cowgirl boots with a cute and girly flower and butterfly design! Every girly lady loves to wear anything with cute hearts design! 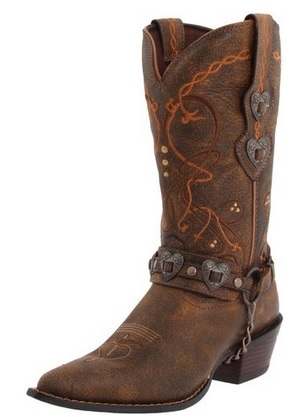 A gorgeous pair of cowgirl boots in a beautiful cognac color with some pretty cute hearts design! They are very comfortable to wear and will make a very nice birthday gift idea for girly wives! Another lovely and very girly pair of cowgirl boots with hearts! They are super comfy to wear besides looking absolutely adorable! This beautiful brown color will go well with any outfit! 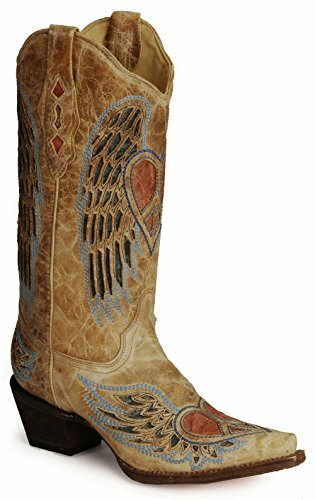 Women’s Heart Angel Wings Cute Cowgirl Western Boots! If you also love angel wings and hearts, I think you are going to go nuts with these! 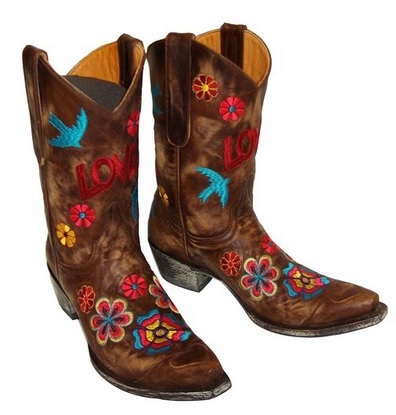 Beautiful ‘antique distressed’ leather cowgirl boots with stunning heart angel wing design! Cute and Fun Girly Hearts Cowgirl Boots! 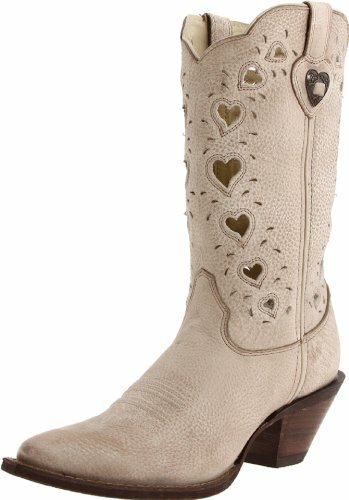 And last, but not least, another top favorite pair of girly cowboy boots, is this adorable hearts design western boots for sale! *I hope you liked my selections of cute cowboy boots from this page and were able to choose one for you!